This post is a new development for the Blog. 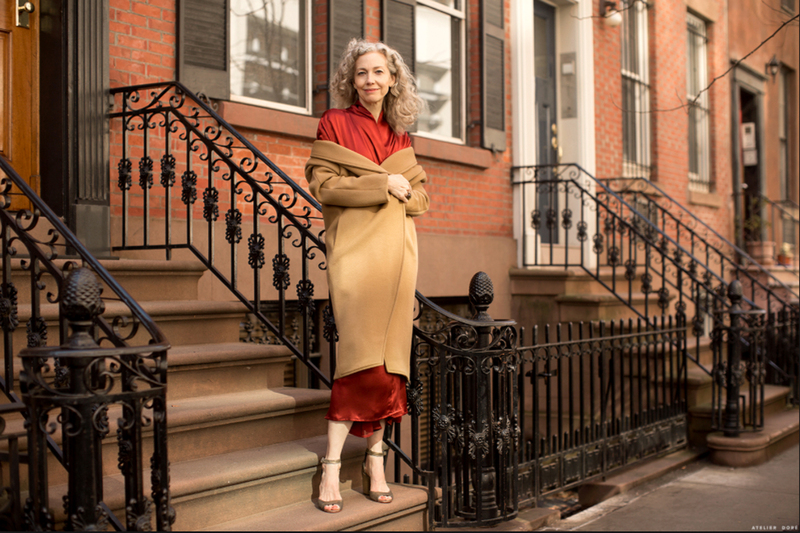 An old friend, Fiona McDougall – we were very young photographers together – agreed to photograph and write about Friendships that are long lasting. 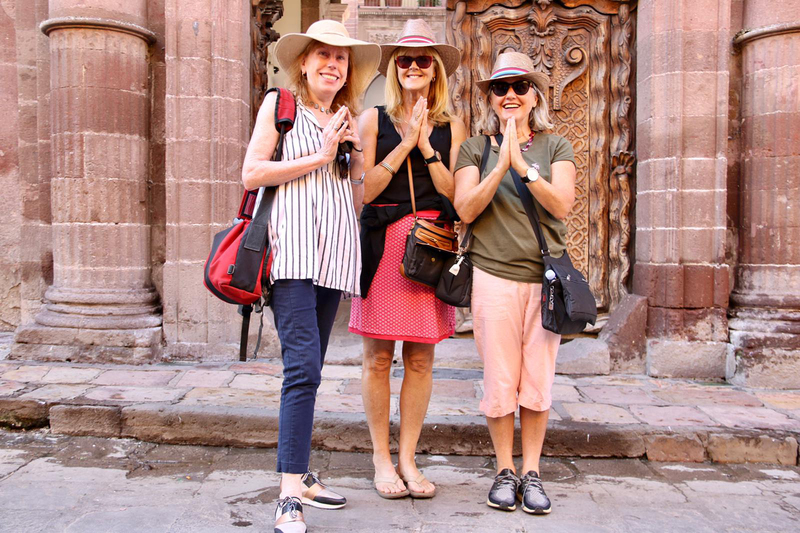 Fi, who now lives in America now, met up with two of her oldest friends on her other friend Kerri Ainsworth’s Art Travel Adventure trip to Mexico recently. Left to Right Fiona McDougall, Maryanne Money and Elizabeth Gaynor. “Some memories and images never leave you. Like the first-time I met Kerri Ainsworth during our days as art school students in ‘70s Melbourne. She opened the door dressed in a wild, slinky disco outfit, and warmly, said: “Welcome. Come on in!” One of my oldest buddies over 40 years, we’ve had meet-ups in Sydney, Morocco, Paris, Croatia, Barcelona and most recently Mexico. Or my first encounter with photojournalist Virginia Lee Hunter, after she’d just finished train hopping to photograph itinerant hobos in the American Midwest. She arrived at my office disheveled, dusty but with a big grin and handshake. These indelible, fond memories snuggle into my mind. But the friendship here I want to describe is extra special. I first encountered Elizabeth Gaynor and Maryanne Mooney in Grade 4 at Mandeville Hall, Loreto Convent in Melbourne Australia. We didn’t “click” right away. “Gay” and “Moon” as they were called –were also known as ‘Rad’; they were confident intelligent girls with ties askew, skirts hitched up, school bags flying. They defied teachers’ authority. I was the opposite, a shy “goody two shoes” with a straight red plait, freckles and of course my two always polished shoes. But drifting through adolescence, we slowly formed a bond. To celebrate the end of the gruelling matriculation exams, we took a train up north to the Gold Coast – where we rented a dingy, small caravan for a week in Broadbeach. We felt groovy and wild. We got sunburnt and our skin stuck to the vinyl beds. One day after sipping champagne on the beach, we went into the water and a rip caught us, pulling us out to sea. A burly lifesaver had to clamber through pounding waves to rescue us. He dragged our limp and trembling bodies out of the water – and dumped us like stranded whales on the sand. We hung our heads in shame and limped back to our caravan. The next day, we perked up to make a trip to an exotic island, only to discover upon return we had been robbed by the fellas we had asked back one night to share a beer. The police had no pity for us. Maryanne wrote her boyfriend a long letter. Fast forward 40+ years later. 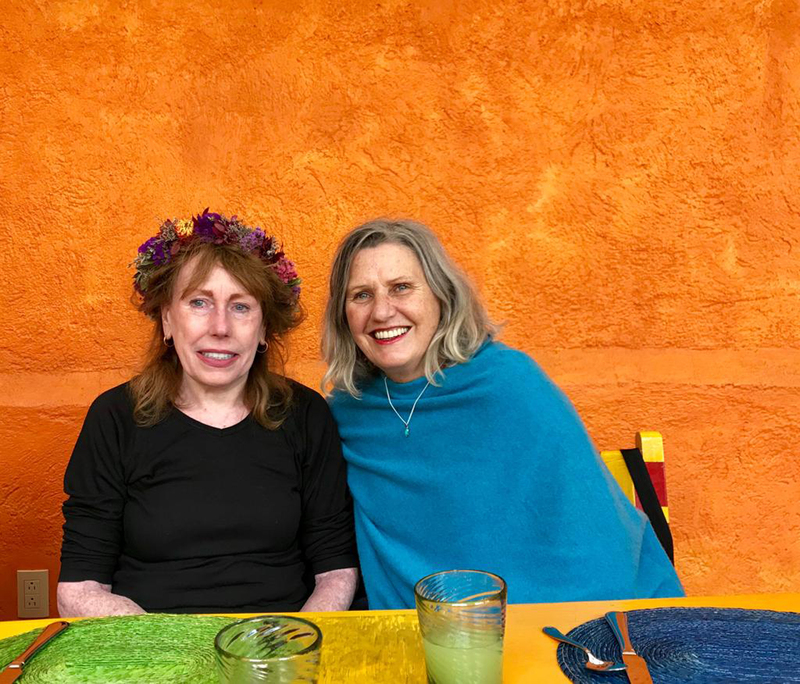 I am living in San Francisco working as Director of Creative Services and a Producer at One World ; Liz is the Honourable Judge Gaynor of the Victorian County Court, while Maryanne is Director of Lindentree Leadership Consulting in Melbourne, Australia. We reconnected this November through Kerri’s travel group. We came together in a very different place from the Australian surf, in Mexico – with other Aussie travelers for 2 weeks of art and discovery. 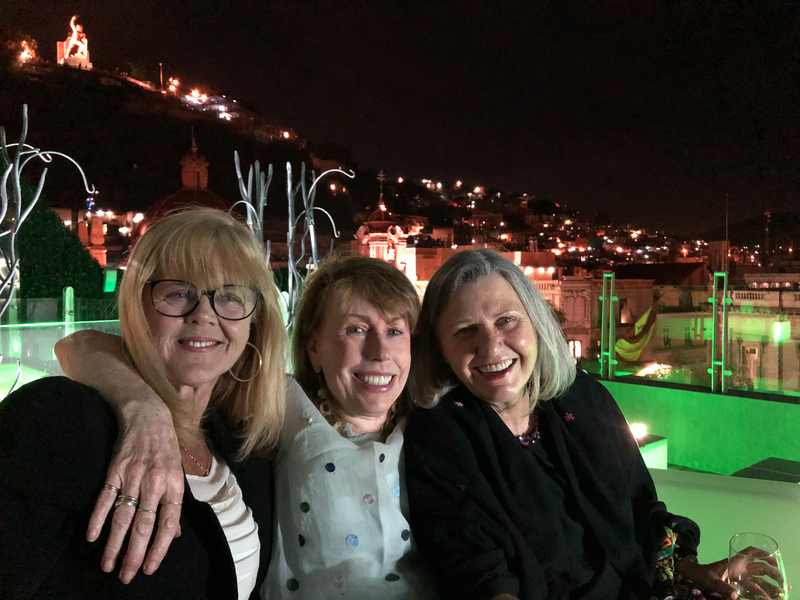 Reunited we shared stories sitting on the luscious veranda of artist Hugo Anaya’s hacienda, Alma del Sol, with its sweeping views of the historic center of Guanajuato. 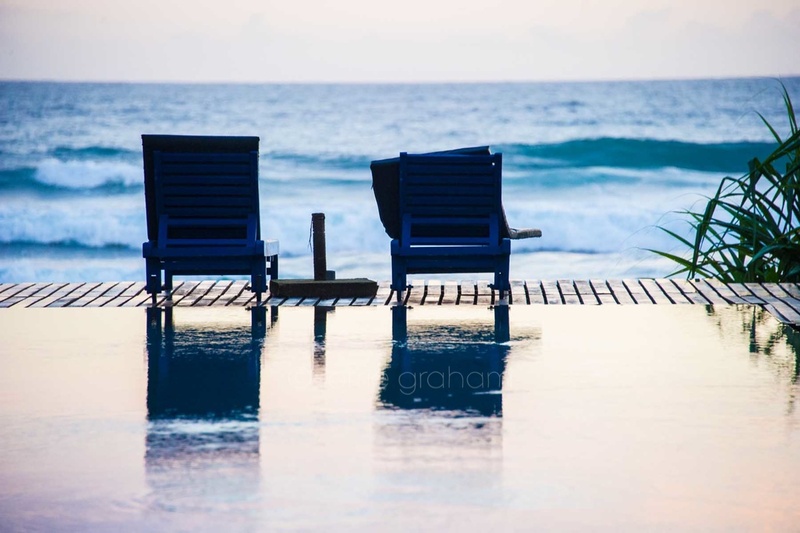 Our fellow travelers must have thought we were mad, the way we laughed, especially with the retelling of the Broadbeach trip. Good conversations come out when you walk. We shared stories about our children and where they were heading in life as we went up the steep 4 km. climb to the arid cacti Botanical Gardens in San Miguel de Allende. 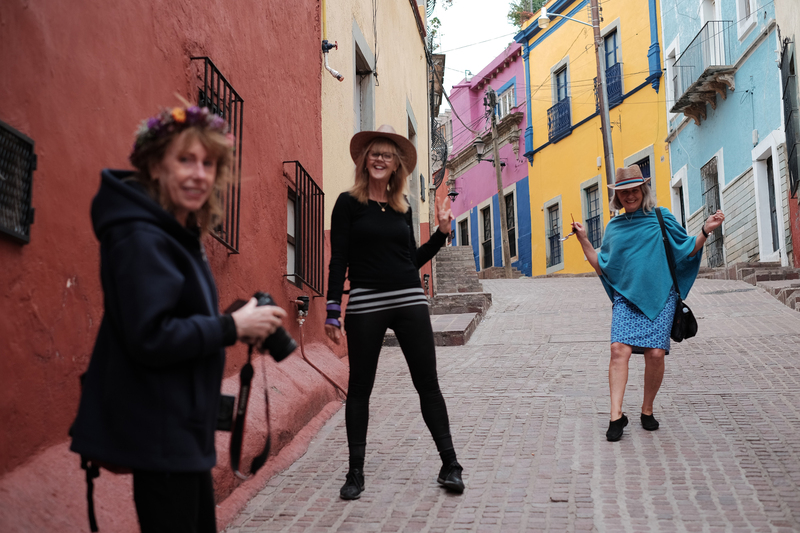 We talked about our plans for the future as we strolled through the Museo San Gabriel de Barrera, an opulent 17th century hacienda, a short taxi ride outside of Guanajuato. From there Gay hailed a local mini bus back to the outskirts of town where we took photos of one another on bridges with the panoramic town behind. 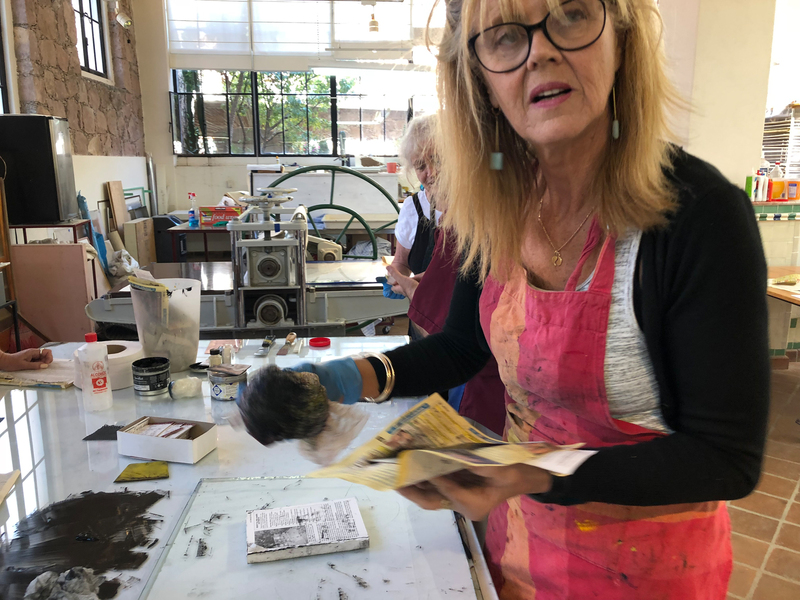 In Hugo’s wide spacious studio at the top of a winding narrow street in Guanajuato, we took his class, struggled to do our monoprints and drypoints, and laughed and compared notes. We sketched in plazas and oohed and aahed at each other’s work. 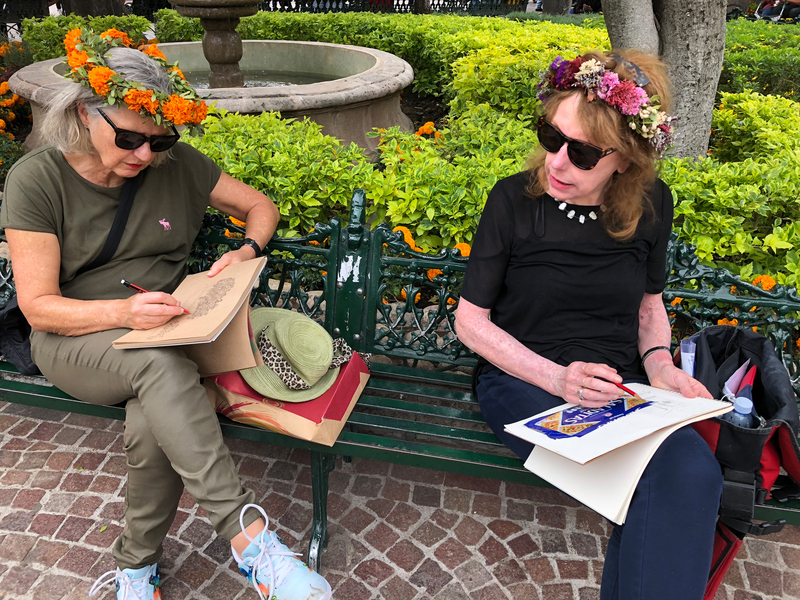 Our 5 days in this Mexican art studio followed on memories of Monday art classes at Loreto Convent so many decades before. 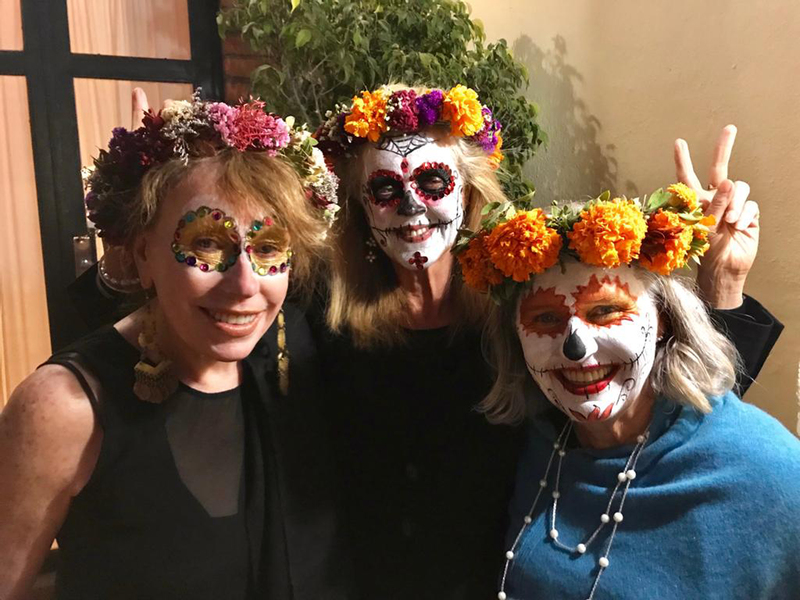 Together we helped welcome back the dead to earth during the San Miguel de Allende Dia de Los Muertos (Day of the Dead) Festival. We giggled in a local salon where make-up artists transformed our faces into art works painting wild colors on white; we joined the costumed procession that wound throughout the town late at night, and we ended up at a restaurant with lots of drinking and conversations going on well past midnight. So what have I learnt about our true long-lasting friendship? There are no bars. There is complete openness. We open up despite not seeing each other for a long time. We each carry a mystery within us. And we may never know each other completely. But we accept one another fully. 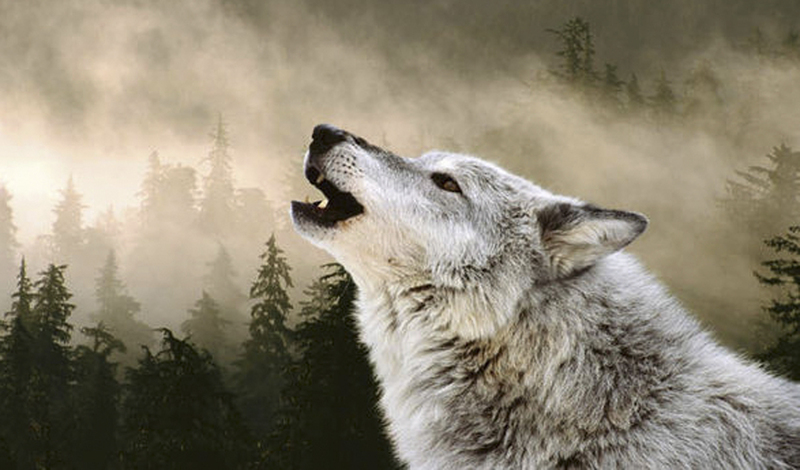 We create space where we feel safe and can be ourselves. As Maryanne’s mum once said: “You are the “wicked villains”. Right. Our friendship lives outside the law of time, space, and any regrets. Yes, a lovely story and one which I experienced, as they were guests on my Mexican tour. The ladies had a fabulous catch up and such fun. Somehow my motley old green sunhat got in on the act and appears in one of the photos. It was definitely a fun time and a great place to rekindle friendships. Lovely story, I feel the same with my oldest friends, no barriers even if we haven’t seen each other for months and months.